Thought For The Day: Serving others helps me find me. AMANDA AGANA, track star at US Naval Academy and survivor of abuse in Ghana. Drum roll, please. The lists are out! Yale Law School has once again published its lists, and the results are reported in a recent article in The American Lawyer. This is the 10th year that the law school has published a family-friendly list, but this year, in an attempt at gender neutrality and elimination of gender stereotypes, Yale Law has published two separate lists: The traditional family-friendly list and a separate female-friendly list. The two lists make sense to me, and I am happy to see the research and reporting take this new direction. Not all women lawyers will have families, and some women lawyers will concentrate solely on professional pursuits with less concern for work-life balance. There is no right or wrong in those decisions, and separating the lists makes it easier for readers to line up their professional aspirations with the research. According to the article, in preparing the reports, Yale Law Women surveyed nearly 50 firms in Big Law and looked closely at the policies of those firms related to family leave and gender equality. The responses from the firms were then compared with surveys of both male and female Yale Law graduates working at those firms. As an example of the criteria used to determine the degree of gender equity in firms, Yale Law Women looked at hiring statistics, representation of women in leadership and promotions, and the firm’s commitment to training and mentorship of both female and male lawyers. Congratulations to Morgan Lewis and Orrick for appearing on both the family-friendly and the female-friendly lists. 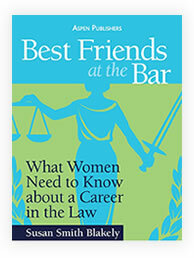 Other statistics reported show that only three of the firms surveyed (Littler Mendelsohn, Ropes & Gray and Wilmer Cutler) had at least 25 percent women equity partners and only five firms surveyed (Hunton & Williams, Morrison & Foerster, Perkins Coie, Reed Smith and Squire Patton Boggs) have at least 35 percent female representation on the firm’s executive committee. Another interesting statistic showed that only 32 percent of male lawyers in the surveyed firms took some amount of caregiver leave. As noted in the article, if only women lawyers are taking caregiver leave, that alone may evidence an issue of gender inequality. These lists and others like them should not control your interest in working at a firm, but they can be used as a factor in determining that interest and your suitability for joining a particular workforce. The lists and the criteria used by surveyors also can help to identify the issues you should be looking at in making critical career choices. Not interested in Big Law? Even if you are not headed in that direction, these lists can give you a good idea of the progress being made on issues that should be of interest to you. So, check it out! In identifying what it calls a “broken system” for associate reviews, Big Law’s Hogan Lovells has abandoned the system of once yearly reviews in favor of more frequent periodic reviews. This is very good news and for some very good reasons that also will be discussed in my new book, What Millennial Lawyers Want, scheduled for release in the summer of 2018. 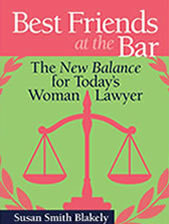 Providing all lawyers with a better sense of how they fit into the business of the firm. The one feature of this program that I think falls short involves the burden for program success. The new scheme is described as directing “associates to proactively seek input from partners and other firm professionals about their performance throughout the year … and requires associates to get three pieces of feedback from co-workers every four months.” It appears that the program developers have forgotten how reluctant they were as young associates to ask a senior lawyer to take time from billable work to spend that time on associate lawyer development. More burden on senior lawyers likely would assure greater program success and would involve senior lawyers in a program that is new to them and that they need to understand and embrace. But, one thing we can agree on is that the old system indeed was broken and has been broken for a long time. Not only do once yearly reviews fail to inform young lawyers of their successes or failures in a timely manner after the work has been accomplished and while memories are fresh, it also fails to take advantage of good mentoring practices. Mentoring is teaching, and a good teacher does not teach just once and abandon the student. Rather, effective mentoring is an on-going process between teacher and student with the goal of helping the student to gain skills to become as proficient as possible. Like once-a-year-mentoring, once-a-year- proficiency reviews do not have the slightest chance of achieving the desired goal. That does not mean that periodic reviews should be substituted for a separate and effective formal mentoring program. 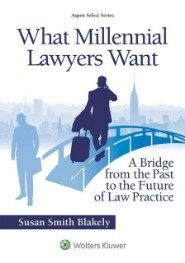 Law firms should embrace opportunities for periodic formal reviews and a mentoring program. 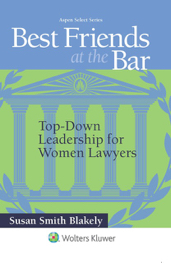 The criteria for an effective mentoring program are discussed in Best Friends at the Bar: Top-Down Leadership for Women Lawyers (Wolters Kluwer/Aspen Publishers 2015), and I encourage you to check out the information. You also may be interested in reading my former blog on the topic of mentoring. The combination of periodic reviews and formal mentoring programs will provide young lawyers with feedback in near real time to gain both positive reinforcement and guidance to help young lawyers avoid repeating their mistakes. And the law firms will benefit by developing young lawyers earlier and avoiding cutting hours associated with repeated mistakes. Partners who are forced to cut bills are not good for law firm morale and certainly not good for young associates. So, it is a win-win for all. Bravo to Hogan Lovells and to the other firms mentioned in the article that have adopted similar programs. Hopefully it is a sign of the times!